Why is it so hot in Britain this year? Over recent years, the great British Summer has been getting hotter and longer than many of us have seen if our lifetimes. This boost in near tropical temperatures is courtesy of our old friend, the jet steam. The jet stream is the group of strong westerly air currents that circle the globe several miles above the Earth’s surface. More recently, the position of these streams has shifted and set up shop in the north of England, creating pressure that is blocking out our usual cloud and rain and replacing it with warm air from southern Europe. The long and short of this weather activity is: Everyone is melting! Temperatures in offices and workplaces are getting beyond stuffy. That co-worker with the perspiration problem is now everyone’s enemy and people are getting just a little bit more grouchy and flustered than usual – None of this is good for your business! This, alongside other environmental impacts on your staff can have a negative impact on your business. Learn to tackle these challenges at our Workplace Health and Wellbeing Conference, you can find out more here. If you’re part of the A-team tackling the high-temperatures and high-volume of disgruntled employees who are suffering in your workplace, then you need to understand what to look out for regarding health implications of the heat and expand your knowledge in this area to prevent a HR disaster. Thankfully, you can gain access to everything that you need to assess and adapt your organisation to any environmental changes coming your way at our event – You can book your tickets here. In brief, there is first the regulatory aspect to consider. Lovely though it would be to send everyone home to enjoy a carefree day of sunshine, there is no regulation to back up a companywide close down for the day without the powers that be giving expressed permission. The only regulation that we have on workplace temperatures in this country is that workers are protected against temperatures that go below 16 degrees for desk workers and 13 degrees for manual workers – Can’t you tell that we’re not used to cooking like this? With the hope of a nice day off crushed, you need to be on the ball when it comes to employee welfare. High temperatures can cause health as well as productivity problems and it is your duty as an employer to protect your staff. Each of these are common results of prolonged high temperatures, so you need to be mindful of the symptoms as well as what to do if you suspect heat stroke or stress. You can find a full list of symptoms here. If the worst happens and you discover that a member of your staff is suffering from the symptoms of heat stress or heat stroke, then you need to act fast to avoid big problems for both your business and your employees. If you can see no improvement to the person’s wellbeing or they are experiencing any of the following, you need to call an ambulance immediately as they could be in serious trouble. You may have heard the term “prevention is the best treatment”. It certainly saves a lot of hassle to be prepared when it comes to the welfare of your staff, so we’ve put together these five methods that should help you to take the heat away and keep you cool in a heatwave. Although there is a lot of evidence to suggest that uniforms increase productivity, if your uniforms are a little unsuitable for warm weather, you should consider allowing employees to wear their own clothes. This means that they can wear something lighter so they can be more comfortable when doing their work. 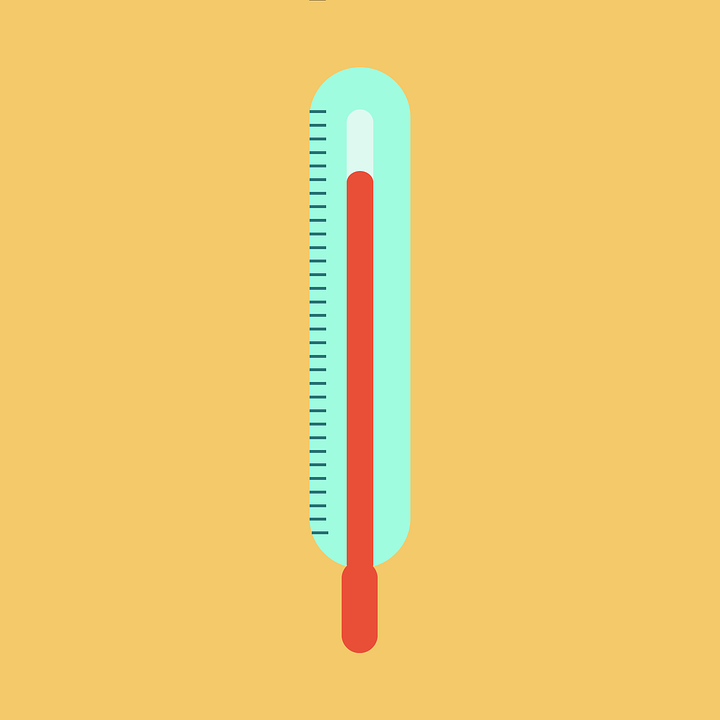 If an employee gets too hot then it will reduce their productivity levels as they will spend half of their time either complaining about the heat or thinking about it. Having a nice cold beverage on a hot day is a great way to keep your core temperature down and rehydrate your body as well as your mind. Keeping staff members cool and hydrated will mean that they can continue their work with a clearer head, so productivity will not be as affected. Allowing your staff to make the most of the great outdoors by taking a break from your desks and holding meetings outside or taking breaks little and often will ensure that they don’t sink into a docile and unproductive state. Plus, a change of scenery is always a great way to get creativity flowing! If there’s a heatwave coming, it’s always wise to check you temperature regulation equipment… hand held fans just aren’t the same! As soon as you feel hot weather heading your way, complete equipment checks or call an expert to do this for you so that you can be sure your workspace will not suffer from mechanical faults at the worst time possible. Buying everyone ice cream might seem a little excessive, but there is a method to the madness. During a study by the Institute of Psychiatry in London, a control group was given vanilla ice cream whilst having their brain activity monitored. As a result, it was found that the vanilla ice cream activates the orbitofrontal cortex – the processing area at the front of the brain. This part of the brain usually activates when people are enjoying themselves and we all know that if we enjoy something we are more likely to make better progress, therefore ice cream plus work equals increased productivity. Awesome! Now you have everything that you need to keep your staff happy and healthy for the next few days, you can focus on the other HR areas that demand your attention. A great way to get involved and stay ahead of your competitors is to attend events that tell you everything that you need to expect regarding caring for and retaining your staff over the coming year. You can find out more at our Workplace Health and Wellbeing Conference – Book your tickets here!